Talne is a small town with a population of about 13.5 thousand people located in the Cherkasy region, about 140 km south-west of Cherkasy. One of the main architectural attractions of the town is the Catholic Church of St. Anne built in the Gothic style in 1702 and restored in the 1830s. Talne on Google Maps. Photos by: Maxim Ritus. 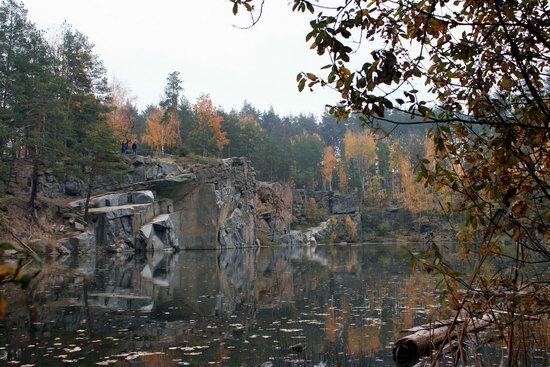 Korostyshivsky quarry is a picturesque flooded granite quarry located on the outskirts of the town of Korostyshiv in the Zhytomyr region, about 100 km west of Kyiv. The landscape around the quarry is unusual, the shore is covered with spruces and birches, which resembles Karelia. The height of the rocks reaches about 10 m, the depth of the artificial lake is up to 20 m. This place has become a popular object of industrial tourism. Korostyshiv Quarry on Google Maps. Photos by: Igor Golovach. Ruzhyn is an urban village with a population of about 4,700 people located in the Zhytomyr region, about 100 km south-east of Zhytomyr. The main attraction of Ruzhyn is the Catholic Church of the Body and Blood of Jesus Christ built by Count Kalinowski in the style of classicism in 1815. Ruzhyn on Google Maps. Photos by: Maxim Ritus. 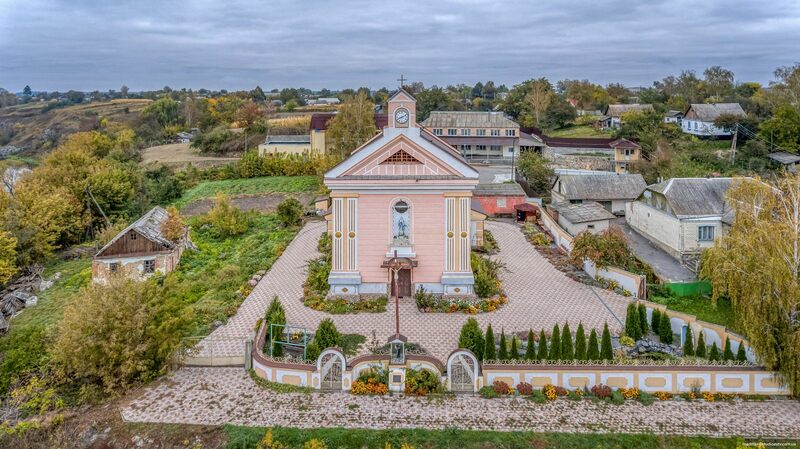 Myropol is an urban village with a population of about 4,500 people located in the Romaniv district of the Zhytomyr region, about 82 km west of Zhytomyr. The main architectural monument of Myropol is a stone two-story Catholic church built in 1820 – the Church of St. Anthony. In front of the central entrance there is a figure of St. Anthony. Myropol on Google Maps. Photos by: Maxim Ritus. 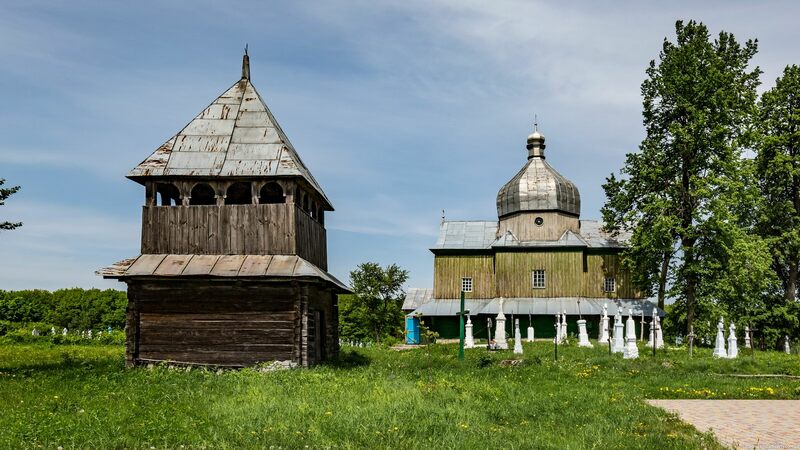 Maniavskyi Skyt (1611-1621) is an Orthodox monastery located in the village of Manyava, about 50 km south-west of Ivano-Frankivsk, an important center of spirituality, culture and art of Ukraine. During its heyday, the monastery numbered about 200 monks and dozens of subordinate monasteries in Galicia, Bukovina and Moldova. It was one of the centers of cultural life in Galicia. Maniavskyi Skyt on Google Maps. 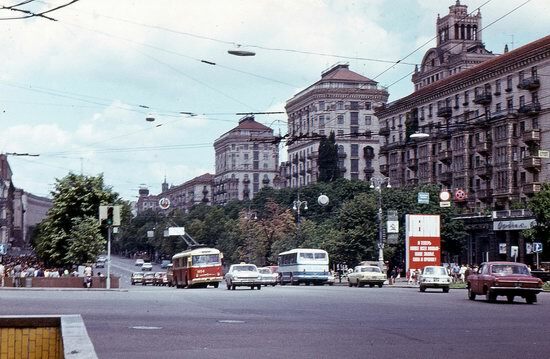 Photos by: Vitaliy Ilnytsky. 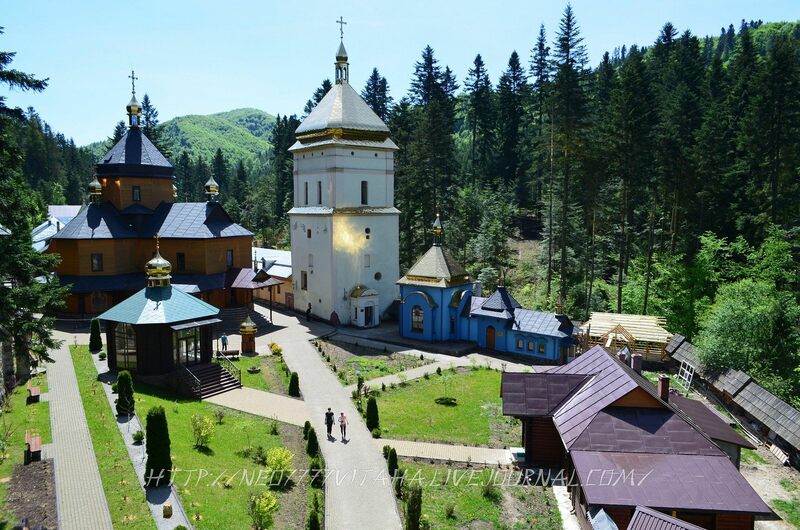 Shyshkivtsi is a small village with a population of about 300 people located in the east of the Lviv region. 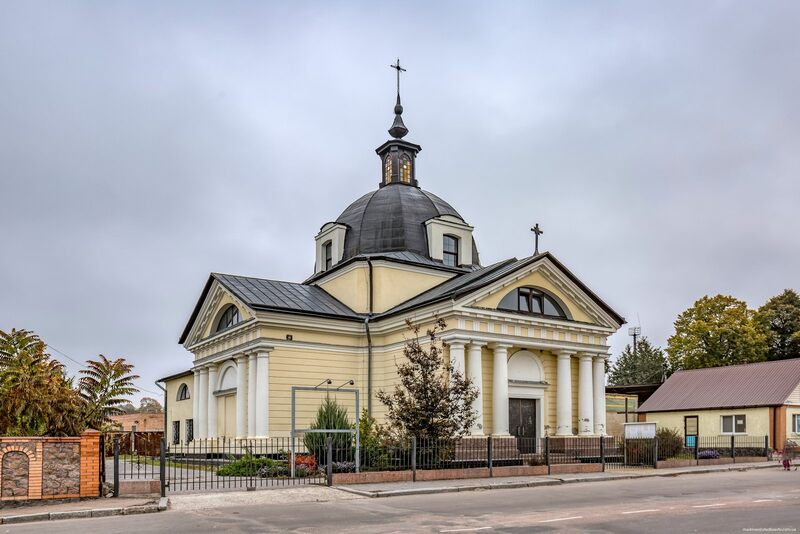 The main and only architectural attraction of the village is the wooden Church of the Holy Archangel Michael built in 1904 from the materials of the church of 1784. Shyshkivtsi on Google Maps. Photos by: Maxim Ritus. 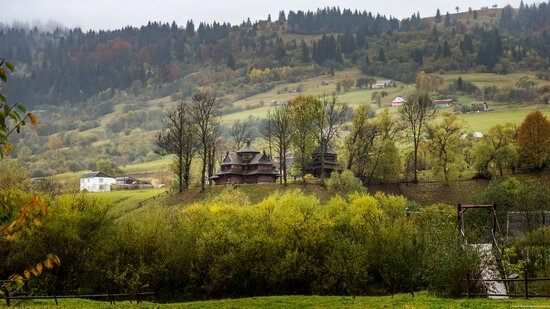 Among the attractions of Transcarpathia, the architecture of the Hutsuls, one of the indigenous peoples of the Carpathians, occupies a special place with its unique and beautiful wooden churches. Church of the Ascension (Strukivska) in the urban village of Yasinya located in the east of the Zakarpattia region is one of these old and amazing churches. Yasinya on Google Maps. Photos by: Maxim Ritus. Litovyshche is a small village with a population of about 400 people located in the Brody district of the Lviv region, about 105 km east of Lviv. 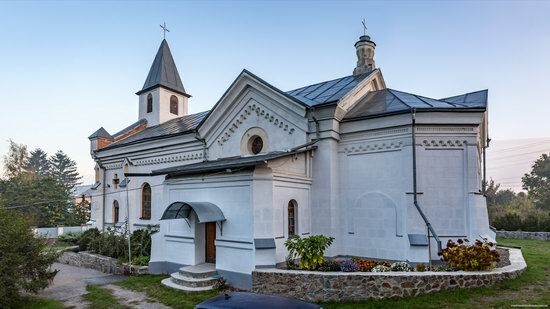 The main attraction of the village is its old wooden church – Church of St. George (1784). Located near the center of the village, north of the new stone church, it is surrounded by a cemetery. The church was built of pine boards on a stone foundation. Litovyshche on Google Maps. Photos by: Maxim Ritus.